We both lead busy life’s with what can be stressful jobs (like most jobs these days) and last year we made the decision to take time out together once every couple of weeks. We usually road trip in the Highlands but sometimes to give Alex a break from the driving we head to a loch where Alex can fish, I can read, take photographs and we can just chill for the day. A relaxing 2 hour drive and we had arrived at Clatteringshaws Loch. First on the agenda is breakfast, cooked in the campervan, usually a roll n sausage & a coffee. With the freedom of the van we’ve had breakfast at some amazing places throughout Scotland. 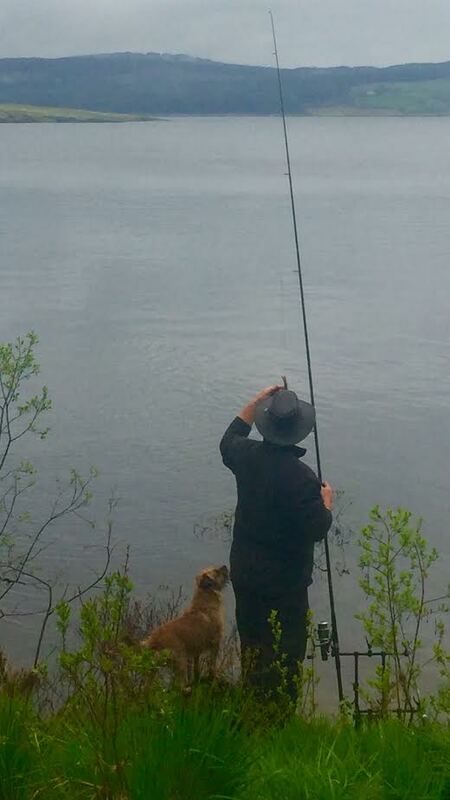 Alex set up his fishing rods and Buddy and I went a wander. 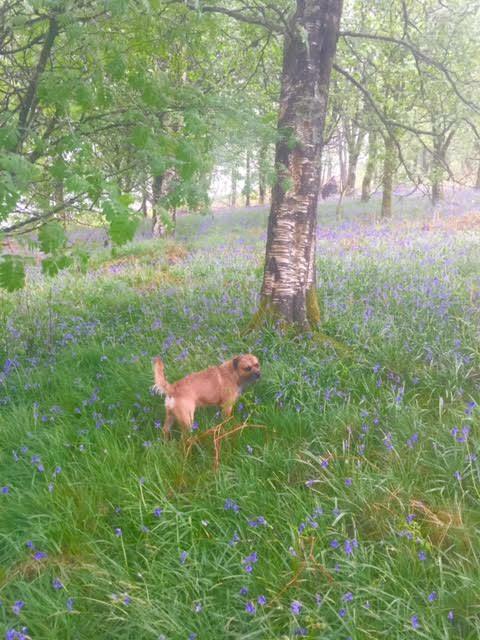 This time of year is just a blanket of bluebells and the smell is just divine. With 300 square miles of the Galloway Forrest there’s plenty of exploring to be done. Fishing in the many lochs, cycling, horse ridding and walking with miles upon miles of forrest track, the most popular being the 10 miles Raiders Road trail. The Galloway Hills are not as dramatic, or as rugged as the mountains in the Highlands but it does have “The Merrick” which is the highest summit in Southern Scotland standing at 875m. On a good day you can see as far as the Isle of Man and Northern Ireland. Because we were going to be home around tea time, I brought some snacks to keep us going throughout the day. I graze during the day, I can’t help it, I quit smoking and took up grazing! I came across Sourced Box through You tuber Naomi Smart, Naomi is one of the founders of Sourced Box . Its a box of healthy snacks which can be delivered monthly or a one off which ever suits, there’s always a drink, chocolate treats which are raw chocolate much much better for you, crisps, dried fruits & seeds. Great for popping in your bag if your on the go all day and I don’t feel like I’m depriving myself from treats as I’m still having chocolate; its just the healthier kind. Win win!! My shoulders had finally returned to there original place and not up at my ears, we were chilled, relaxed, the smurry rain had finally stopped and the pesky midges were out on force, it was one – nil to the fish (sorry Alex!!) it was time to pack up and head home stopping for a fish supper for dinner on the way; its all about the balance! Another great day ……………….. Fantastic blog. I feel like I was there with you’s. A lovely day out by the sound of it.